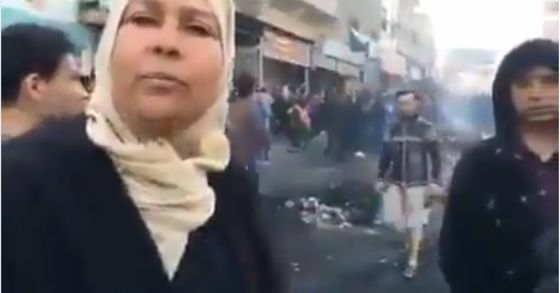 (Bloomberg) -- It was a rare sight in Gaza: a woman daring to publicly denounce Hamas — not Israel — for the wretched conditions in the isolated Palestinian enclave. Gaza is seething after another flare-up between Hamas and Israel and as a fraught anniversary approaches. Since 2007, an Israeli and Egyptian blockade has confined 2 million people to a patch of land that’s the third-most densely-populated polity in the world. Towns and cities are lacerated by neglect and damage from repeated wars pitting the Islamist militants against Israel’s overwhelming military might. Infrastructure is shattered, power is spotty and clean water a luxury. Almost 80 percent of the population depends on aid. Conditions worsened two years ago when President Mahmoud Abbas’s West Bank-based Palestinian Authority set out to suffocate Hamas financially and force it to cede control of Gaza. Despair is bursting to the surface. The anti-Hamas protests — held this month over several days under the slogan “We want to live” — were as brief as they were rare. Hamas crushed them, beating and arresting hundreds, including rights workers and journalists, according to Amnesty International. One of Buheisi’s four sons and husband were detained for nearly a week, beaten and tortured, she said by phone. Hamas accuses Abbas’ Fatah movement of stirring the dissent to bring down the Islamist group, a charge its rival denies. “The needs of blockaded citizens are being exploited and those who’ve had their salaries stopped are being blackmailed,” Hamas said in a March 19 statement. Now, it’s trying to redirect anger toward its traditional target Israel — but at its own peril. A rocket fired on Israel’s heartland Monday has whipped up domestic criticism of Prime Minister Benjamin Netanyahu’s reluctance, over the past year, to strike Hamas harder despite repeated missile volleys. With Netanyahu seeking re-election in a closely-fought poll next month, Gazans at the receiving end of Israeli airstrikes worry that, although the fighting has now subsided, the lull won’t last long. The protests against Hamas were sparked by new taxes that raised prices on hundreds of items, including meat, vegetables and bread. While people aren’t going hungry, life is an ordeal. Their electricity system is hostage to strife with Israel and the Palestinian Authority, and blackouts plunge the territory into darkness for hours at a time. More than half of Gazans don’t have access to running water, and even if they did, it’s polluted with salt and sewage, according to the United Nations Relief and Works Agency. Privately, some complain that Hamas is too preoccupied with fighting Israel to take care of local needs. Others are fed up with Palestinian divisions that prevent them from effectively lobbying for an independent state while U.S. President Donald Trump bolsters Israel’s claims to occupied land, including in Jerusalem. The protests, promoted on social media, never involved more than several hundred people in Jabalia refugee camp, Deir El Balah and Gaza City. But although the dissent has been suppressed, the underlying despair won’t be contained, according to Mustafa al-Sawaf, a political analyst close to Hamas. “The street protests are a serious sign that the situation in the Gaza Strip will explode at any time,” he said. Israel is well aware of the risks but is focused on security and restricts the entry of civilian goods that can be put to military use like cement and steel construction rods. 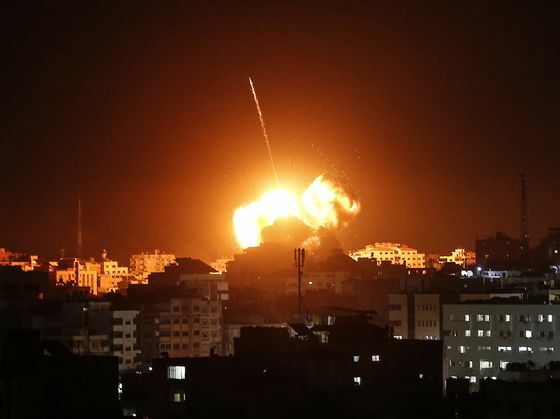 Israel can't be in a position to send in everything civilians need, only to see Hamas “taking the lion's share of what's going into Gaza to build its military capability,” said former National Security Adviser Yaakov Amidror. The unrest was quelled before Hamas celebrates on Saturday the first anniversary of the kind of protest it encourages: a weekly demonstration against Israel. The Great March of Return aims to reclaim the lands Palestinians fled or were expelled from when Israel was created 70 years ago. But the more realistic objective is to refocus attention on the plight of stateless Palestinians. More than 260 people, including militants, have been killed by Israeli snipers during the year of protests near Gaza's frontier with the Jewish state, according to the Gaza Health Ministry. 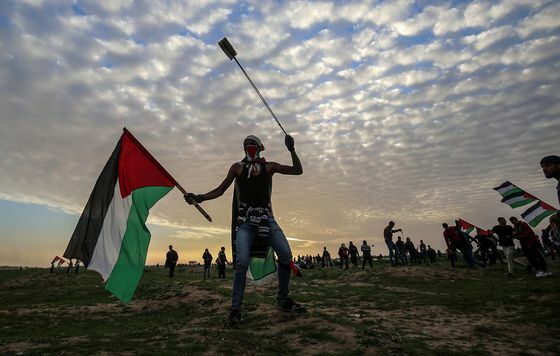 Thousands more have been wounded at the demonstrations that Israel says are a cover to attack it and breach its frontier. Two Israelis have also been killed and farmlands burned by blazing kites and balloons flown into Israel. The failure of the rallies to achieve anything concrete has become another driver of anger against Hamas.